Quicker connections from Hanoi to neighboring provinces now open to public. The Ministry of Transport coordinated with the People’s Committees of Hanoi, Hoa Binh and Phu Tho to open the Hoa Lac - Hoa Binh Expressway and Viet Tri - Ba Vi Bridge build-operate-transfer (BOT) projects on October 10. 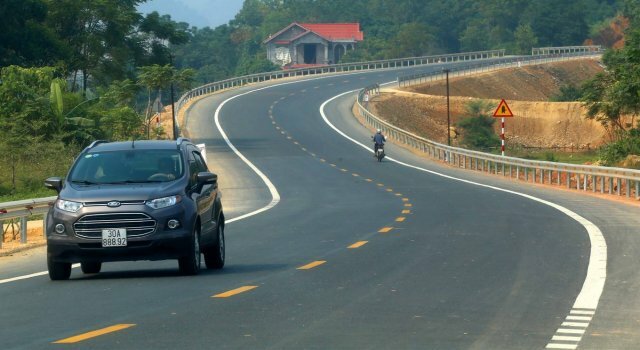 With 25.6 km constructed over four years, the new Hoa Lac - Hoa Binh Expressway has a total investment of some VND2.7 trillion ($116 million), jointly owned by the 36 Corporation, the Hanoi Investment and Trade JSC, and the Truong Loc Trading and Construction JSC. The investors will recover capital by collecting tolls at booths in Hoa Binh for some 27 years. The new route shortens the travel time between Hanoi and Hoa Binh by about 20 km and from over two hours to one and a half hours compared to National Highway No. 6. 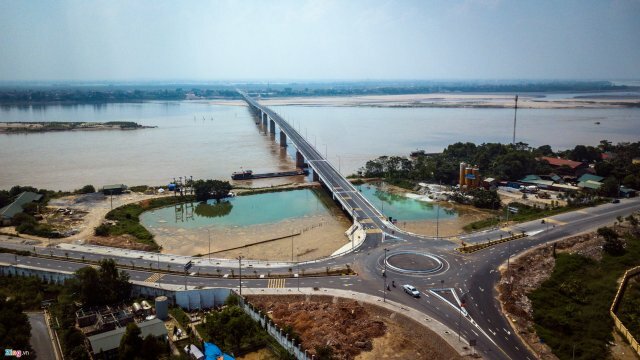 The Viet Tri - Ba Vi Bridge, also called Van Lang Bridge, crosses the Red River and makes for a faster trip between Ba Vi district in Hanoi and Phu Tho province. The total length of the approach and the bridge is about 9.5 km, including 1.5 km passing over the river, with total investment of more than VND1.5 trillion ($64.4 million) from the Phu My Group JSC. It will also recover capital from tolls for about 20 years. The new bridge cuts 20 minutes from the trip from Viet Tri city in Phu Tho to Hanoi, halving the time taken to one hour. It also helps the people living along the Red River to save time and money by replacing a ferry. Minister The added that Hanoi needs more routes linking to other localities to promote socioeconomic development in the capital and surrounding provinces.